The 100V 100172 Hurricane II Fan with 3-Speed DMX from CITC is designed for blowing fog, haze, snow, and wind to a distance up to 150’. The Hurricane II can be tilted up to 300°, and the included swivel stand up to 360°. It takes only three seconds to reach the top speed. 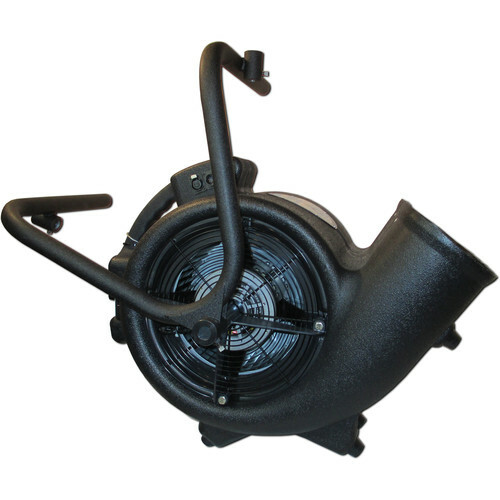 It blows massive volumes of air without motor hum and produces continuous output without overheating. This fan is compact, lightweight, and portable.